...is still up in debate as mystery has always surrounded this story from 1947. There are varying locations, but are within miles of one another. All alleged sites are west of highway 285 north of Roswell, so it can be sure of that. 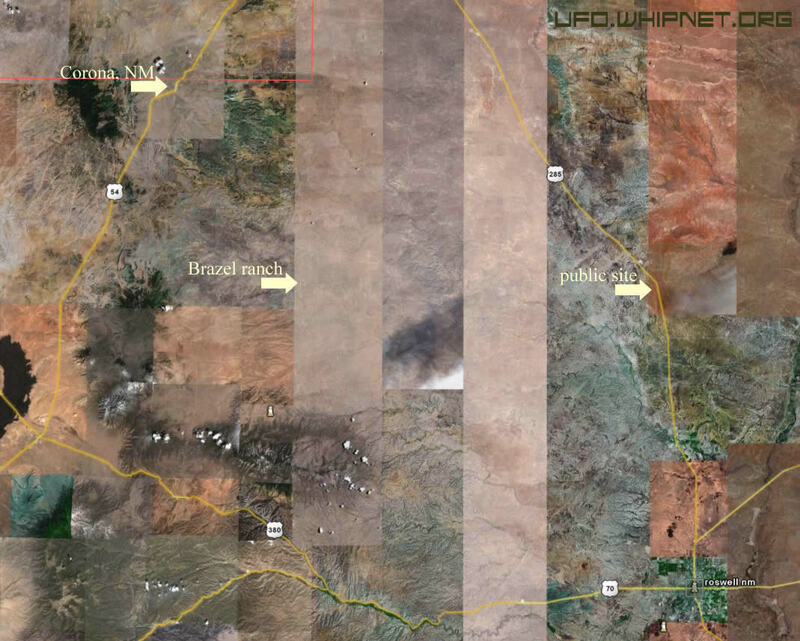 Here you will find directions for several sites mentioned in this article as well as a strange find on Mac Brazel's Ranch. The ranch of Mac Brazel is no longer there. It is on Bureau of Land Management property, which is open to the public but reaching the site requires passing through private ranch land. Ownership of the private land is unknown. Never being there personally, I relied on the directions below to try to find the ranch on Google Earth. Using its distance tools, I traveled from Corona east on 247 for 17 miles, turned right and traveled about 16 miles. To my surprise I found an airfield runway about a mile long. 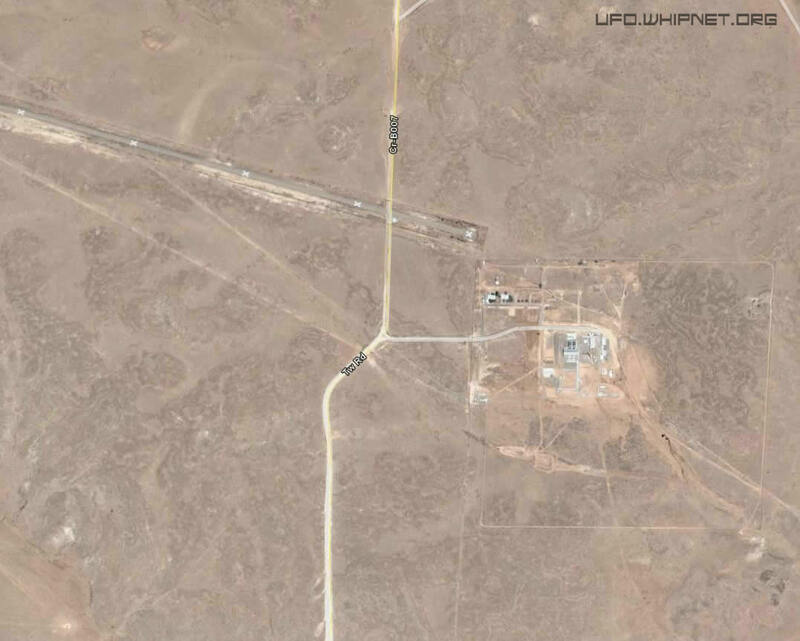 I am not sure why there would be an airfield and a large complex in the location of the crash site. 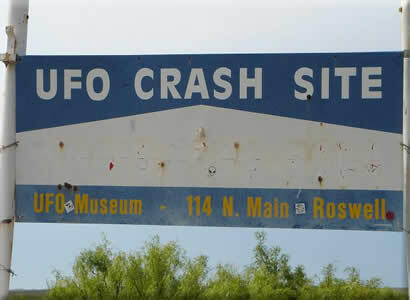 I might be completely off target too, so if anyone can provide anymore information about this, please contact us here at ufo.whipnet.org. Pine Lodge Rd. end travel 45 miles. Just past Mile Marker 33 is a sign for Boy Scout Mtn. Turn onto Forest Rd. 130 and drive 3.7 miles. Turn left onto a jeep road and drive a little more than a mile. You will cross a creek, climb a hill and see a stone campfire ring on the left at the crest of the hill. Follow a short trail to the rock, which is about 5 feet tall and is split in two. requires passing through private ranch land, which is fenced and gated. private land. It is closed to all but organized tours. *These directions come from Glenn Campbell from ufomind.com. 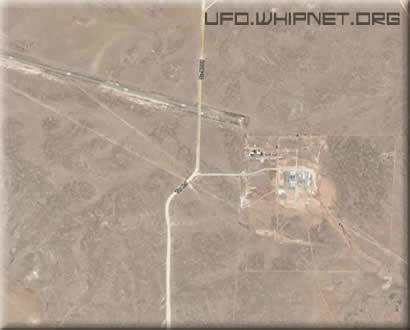 No one at ufo.whipnet.org has verified them. Please use with caution.